The Triumph Stag was a classy 2-seat semi-hardtop convertible designed by Giovanni Michelotti (designer of the BMW 2002 among other cars). 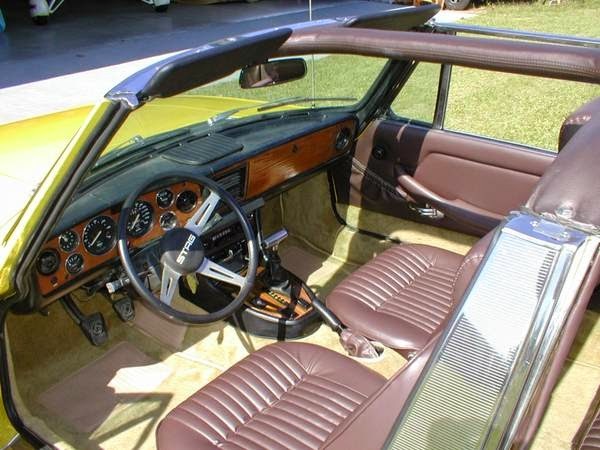 The T-top b-pillar roll hoop ruined an otherwise stunning design and Triumph's inability to produce a reliable new vehicle was noteworthy...but that didn't stop over 25,000 people around the world from buying one between 1970 and 1977. 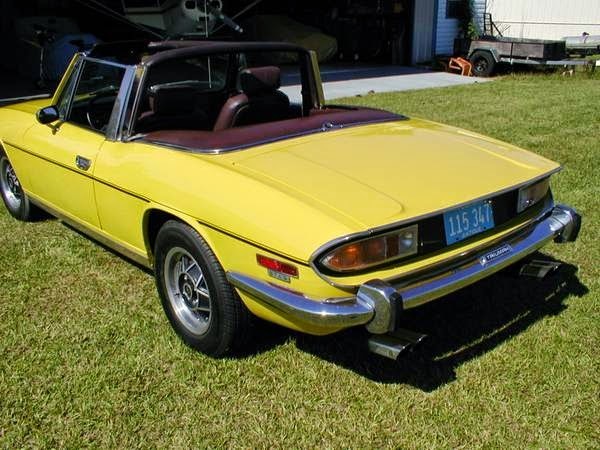 Today's example has had its Triumph 3.0 liter V8 removed in favor of a 2.8 liter V6 from a German Ford -- find this 1973 Triumph Stag here on craigslist, offered for $9,900 in Pace, FL. Tip from Randall. 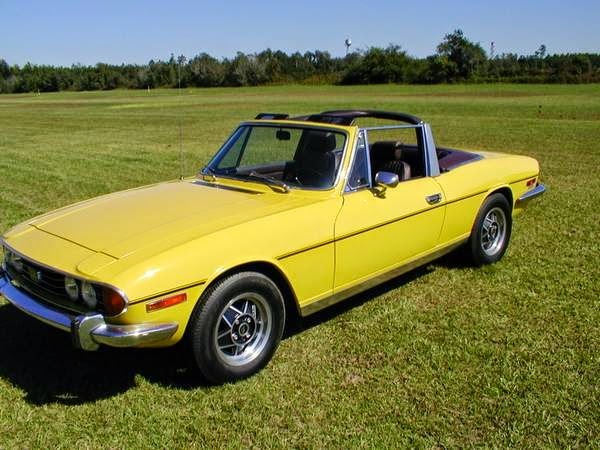 The Stag was not a bad car, it just had a reputation for overheating and falling apart -- things you won't need to deal with on a driving classic because the factory defects have long been fixed. In this case with a transplant of an entirely different engine...strange...but intriguing. 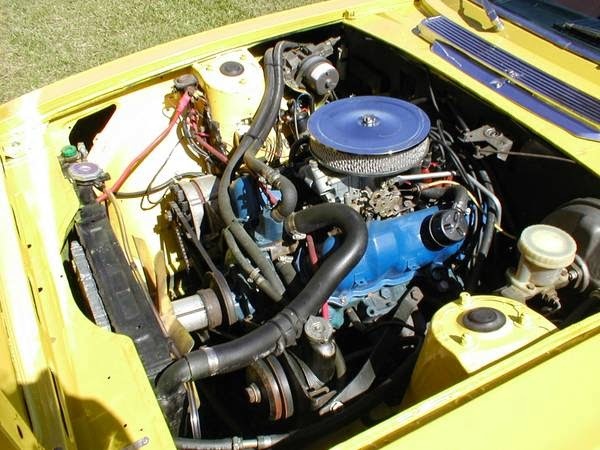 Under the hood is a 2.8 liter version of the Cologne V6, which originally appeared in the European Ford Taunus and was shoved into vehicles like the TVR Tasmin, Ford Bronco, Mercury Bobcat, Mustang II and Reliant Scimitar. This V6 probably puts out something around 150 horsepower, which is about the same as the original V8, but it is mated to a C3 automatic transmission. The interior on this car looks decently preserved, but the automatic shifter is a big disappointment, especially since it looks like it has 3 pedals. The stag is a 4 seater. Love the looks. Love the sound of the V8. The build quality can be remedied as well the issues with the original motor. Prices for these have been going up. This might be a reasonable price for one with the transplant. Wonder why two different color carpeting? 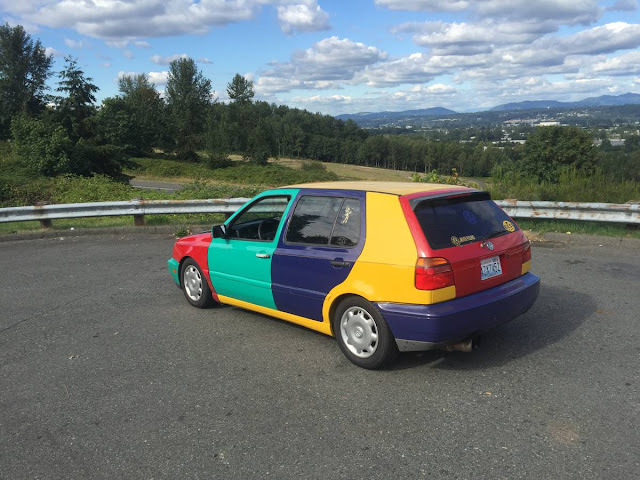 Does it have the hard top? No mention of rust repair. Every one I have seen had at least some rust. I suppose if I tripped over that 2.8 engine while walking back to a Stag with a freshly blown up engine. ..... and it was free...... and I didn't have to do the work .... and I had nothing else to do with my life ... that would work for me.